This policy (together with our Terms & Conditions and any other documents referred to in it) sets out the basis on which any personal data we collect from you, or that you provide to us, will be dealt with by us. By using our sites and services you are consenting to the practices described in this policy.  For the purposes of the Data Protection Act 1998, and any related legislation, the data controller is PlayFusion Limited whose registered office is at St John’s Innovation Centre, Cowley Road, Cambridge, CB4 0WS, United Kingdom. PlayFusion Limited may change this policy from time to time by updating this page. Any changes to this policy are effective when published here. Information you voluntarily give us – This is information you provide to us deliberately when accessing our site and/or services. You are free to choose not to provide this type of information to us. This may include information you provide when you register for services, such as your email address, your name, address, phone number, financial and credit card information, personal details and photographs. Information about your visit – This is information we may collect in the background when you visit our site and/or use our services. It may include your IP address, a unique user ID, technical information about your visit, and information about how you accessed and used our site and/or services. Information from third parties – This is information we receive about you from third parties that you may access or use through our site or services. This may include parties such as payment service providers, advertising networks, platforms and data and analytics service providers. We will endeavour to notify you when we receive information about you from such third parties and the purposes for which we intend to use that information. We use information about you and your visit to our site and use of our services in a number of ways. Information you voluntarily give to us – We use this information to provide the services to you that you have requested from us in connection with your provision of information, such as access to our forums, completion of orders, and providing information about and access to our products. We will also provide you with information regarding goods and services we offer that are the same as or similar to those you have expressed an interest in. If we contact you, we will only typically contact you using email or a similar electronic communication method, and will generally offer you the opportunity to not receive further communications. We may pass such information onto third parties in order to provide the services you have requested. We may also use such information to customise and present our site and/or services in the most effective manner possible. Information about your visit – We use this information to administer our site and/or services, including optimising the site experience for you and other users and to improve our site and/or services. We also use this information to improve our site and/or services and present our content in the most effective manner possible, and to enable interactive features to operate effectively. Information from Third Parties – We may use this information to provide you with services where those third parties are relevant, but will always endeavour to provide you with information about what we are intending to use this for and why. We may share information about you with members of our corporate group, and certain third parties such as business parties, suppliers and contractors, for ordinary business purposes, and to enable us to provide services to you. If we buy or sell any business or assets, we may be required to disclose data relating to you to the seller or purchaser. In certain instances, we may disclose information to advertisers. This will generally be in an anonymised form, either for general optimisation and analytics, or to customise your site or services experience. We only use information we have about individuals to the extent necessary, and always take security and confidentiality relating to such information seriously. Despite this, transmission of data via the internet is not completely secure. Although we will do our best to protect data, we cannot guarantee the security of data, and accordingly any such transmission is at your own risk. Certain aspects of our site and/or services may involve the use of a password and/or unique user ID, which is generally chosen by you. You are responsible for keeping this password confidential, and we ask you not to share this with anyone. You may interact with other users on our site or in our products. We cannot be held responsible for the actions of other users on our site or in our products. If you are the victim of offensive or other inappropriate behaviour or receive unwanted or inappropriate communications, please “Contact Us” or use the appropriate report abuse function where one is present. We may have relationships with external companies who will market appropriate products and services through our sites and services. These companies may use information (not including personal information) about your use of our site and services in order to customise your experience and collect and use data relating to you and your visit to the site and use of the services. We do not have access to or control over the cookies and/or other technologies that these third parties use, and the information practices of these advertisers is not covered by this policy. You should review such other third party’s privacy practices if you wish for more information on their use of data, and utilise your web browser or security software to ensure you have a suitable level of security and protection, depending on your preferences. Some examples of third parties that may be present on our site and in our services include the following: Facebook Pixel (https://www.facebook.com/customaudiences/app/tos/?ref=u2u_); Google Analytics (https://www.google.com/policies/privacy/ and https://www.google.com/analytics/terms/us.html); CrazyEgg (https://www.crazyegg.com/privacy/); Vanilla Forums (https://vanillaforums.com/en/legal/privacy-policy/ and https://vanillaforums.com/en/legal/vanilla-forums-terms-of-service/); and Yoast SEO (https://cdn.yoast.com/docs/Yoast-Terms-and-Conditions.pdf). We may use your information to market the same or similar services to you, depending on what information you have provided to us. Third parties may assist us in the delivery of such communications. We design our site and services so it is clear if this will happen and will give you the opportunity to agree to it. You will be afforded an opportunity to stop receiving any such communications at the time you provide your information to us and with every subsequent communication. The site and our services are intended for a general audience, and are not designed nor intended to collect personal information from children under the age of 13. We do not knowingly collect personal information from anyone under the age of 13. We do not use such information, and will take reasonable measures to delete such information if we discover that it has been provided. Neither out site, nor our services, are intended to be child-directed, in whole or in part. Our sites and services do not target children under the age of 13 as a primary or secondary audience. To respect the privacy of children, children under the age of 13 should not provide any personal information on this site. If you are under 18, by using our site or services you are making a promise that you have consent from your parent or guardian to use our site and/or services. You may contact us at [email protected] if you have any questions or concerns, and we will endeavour to answer any questions you have in a timely fashion.